In early 2001, two moms of young daughters with Down syndrome connected and decided that, after trying in vain to find the kind of support they were looking for, they would begin something themselves. Each invited a few families to a meeting in a Portland living room. That group quickly grew and within just a few months had founded Southern Maine Down Syndrome Family Network. The group continued to grow, reaching out to new families, providing flowers and information packets to parents of new babies, getting together socially, hosting guest speakers and playgroups, and holding an annual Buddy Walk in Portland. Members were just an email away from each other through online discussion groups and forums. 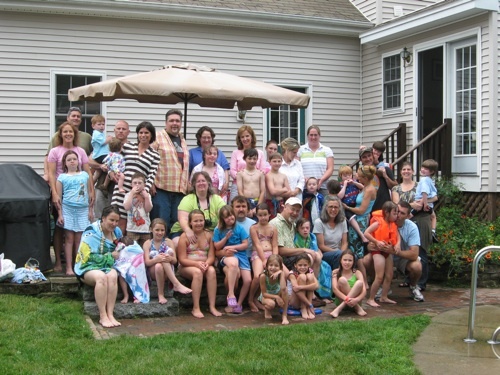 By 2010, it was clear to the board of directors that Southern Maine Down Syndrome Family Network had become a mis-nomer. Members lived in every corner of the state and included families, but also educators, therapists, and community members. It was time for a change. First, the name. Maine Down Syndrome Network was born. Next, another Buddy Walk! MDSN now holds two walks, one in Portland, and another in Augusta. It is our plan to continue to grow our Buddy Walk program, adding additional Maine communities every few years. And now, an effort to accurately gather information about where our members live, and types of support they are looking for. Though we now offer an Annual Conference, programs for teachers and self-advocates, and do so many other things, it is supporting each other that is the heart of our group. We are excited that you have found us, and welcome you to join us on this exciting journey!